In early 2017, Sally O’Byrne had the good luck to be invited on a private birding trip to this isolated mountainous country that is little traveled and is considered one of the ‘least spoilt’ Himalayan countries. Targeted birds included exotic species like Himalayan Monal, Ibisbill, Rufous-necked Hornbill, and the best-named bird, Mrs. Gould’s Sunbird. This is also a country where all residents who were foreign were expelled 25 years ago so the populace is now homogeneous. and the country is known for its ‘happiness quotient’. With scenery full of pristine forests, temples, and dramatic passes adorned with prayer flags, come and find out which birds she found, and what adventures she had along the way. 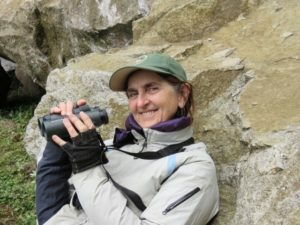 A lifelong Delawarean and longtime Wilmington resident, Sally has pursued her interest in natural history as a teacher naturalist for the Delaware Nature Society for 30 years, currently focusing on adult environmental education. 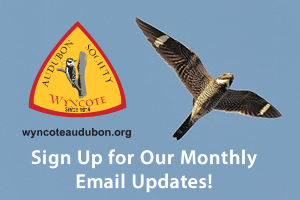 Sally was president of the Delmarva Ornithological Society (DOS) for two terms. Her tenure hatched the Bird-A-Thon, and the two Delaware hawk watches. Sally coordinated a year-long bird survey at the Russell Peterson urban wildlife refuge 1999-2000 and helped create the Delaware Birding trail. 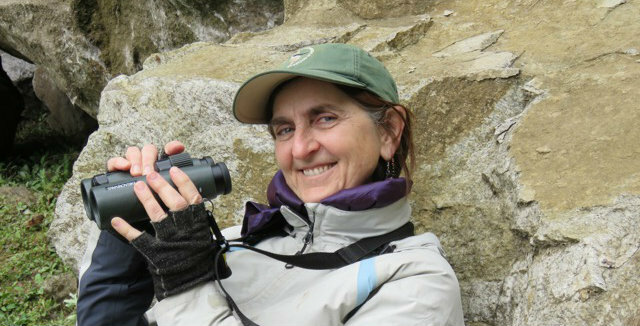 She has participated in numerous surveys including the 5 year Delaware breeding bird atlas and leads field trips for DOS. Sally is a past board member of Hawk Mountain Sanctuary, the Christina River Conservancy, and the Delaware Nature Society. She is currently compiler of the Rehoboth CBC, and a site captain of the Christina River Watershed clean-up. Sally also has an interest in history, being a co-author of Wilmington Waterways. She lives in a historic house in downtown Wilmington and has recently studied Quaker industrialists in the founding of Wilmington.